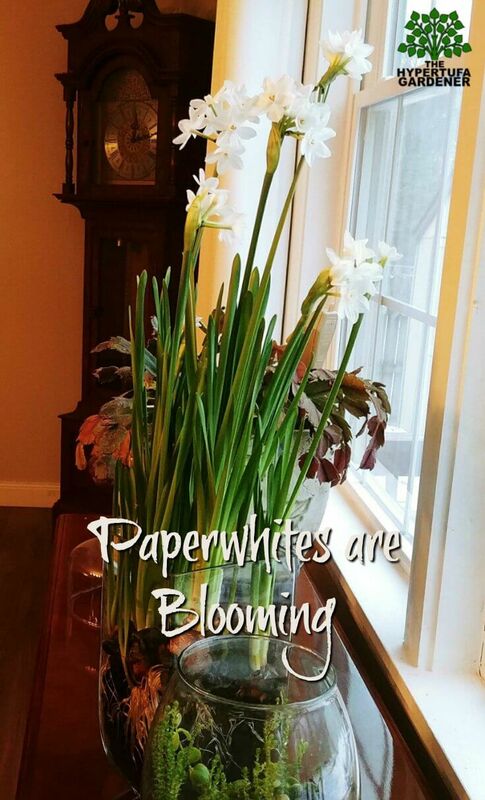 If you haven’t done paperwhites inside your home for that feeling of spring while we wait for the long winter to be over, you are missing out on a great thing! My paperwhites are blooming! I had planted them and documented that in an earlier post with a video and now they have bloomed and are so pretty and scented and I am just longing for the spring to get here so I can garden! But this helps so much. I have them in the dining room window which looks out over the snowy back yard. 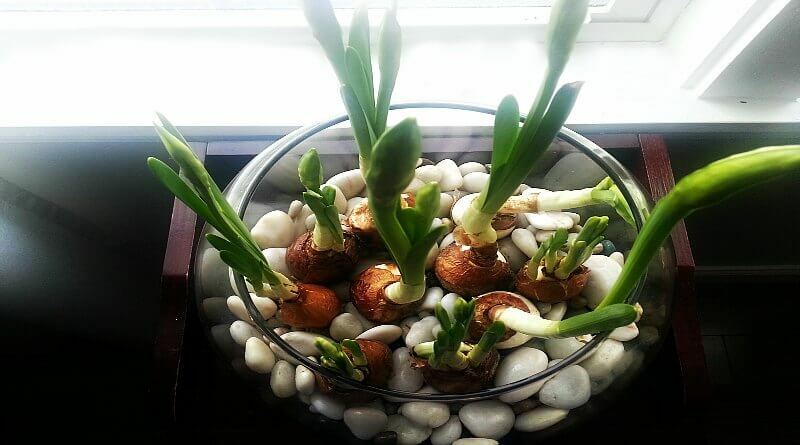 The paperwhites grew so much faster this year, or maybe because I was watching it intently so that I could document their growth, it just seemed as if they did. It is a very easy thing to do, so if you have not done this before, be sure to try it. 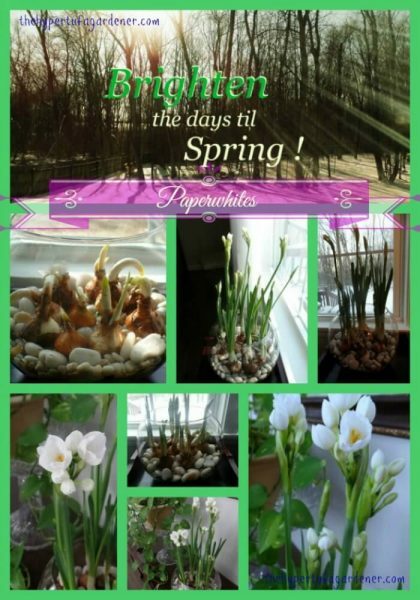 You can even do it now if you find the paperwhites for sale anywhere. 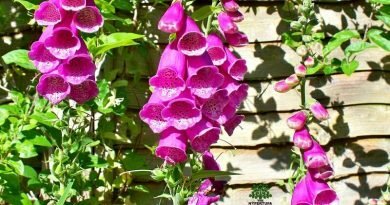 And remember next year, these would make a nice gift for a gardener next Christmas! That’s how got mine. You can buy them in a kit which provides everything you need. 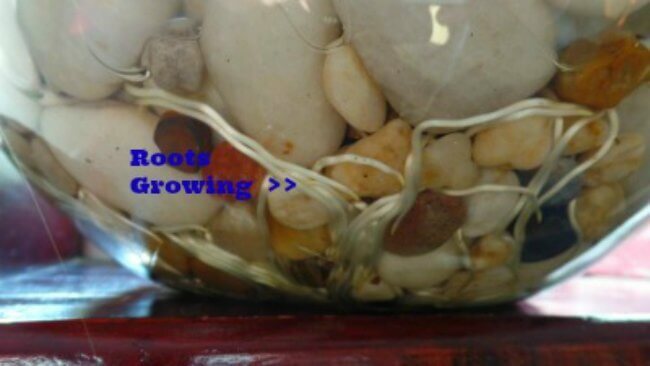 Or you can choose to plant in a bowl or planter of some kind ( no holes in the bottom) and put rocks, gravel, marbles, glass beads, anything you want to anchor the bulbs. Then all you do is pour water up to the base of the bulb. Check it every few days. But I hardly needed to add any at all. The scent of the blossoms is nice and sweet but very light, not overpowering or anything like that. And you may want to do this as a project for children to watch and teach. 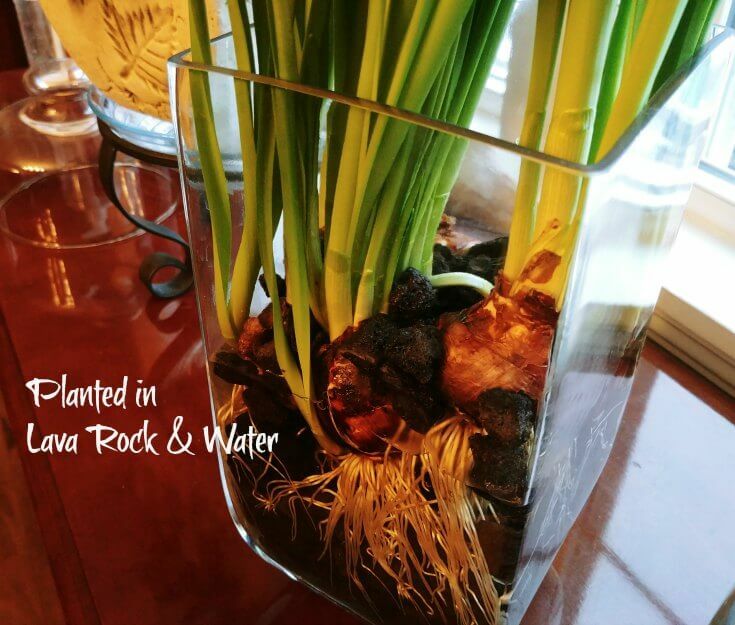 Teachers or parents can let the kids plant them and tend the bulbs. It is really foolproof. 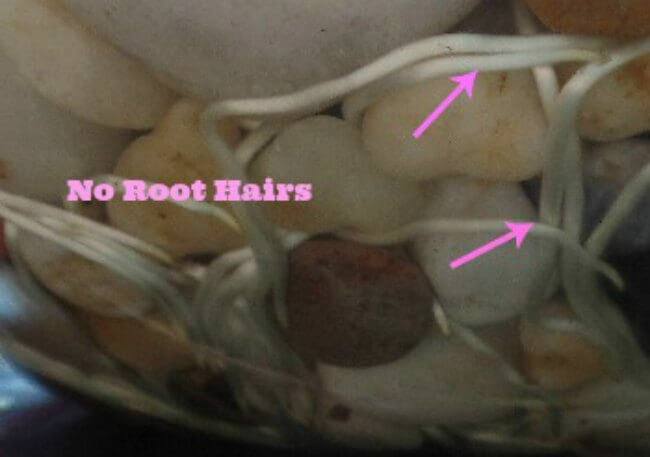 If you use a clear glass bowl as I did, you will see the roots as they grow through the stone. Teach the little kids and you may “grow” a future gardener, botanist….who knows where that may lead? No matter what, it is fascinating to watch while the green stems emerge from the bulb as the roots search through the gravel. Hey, that could be a science project. 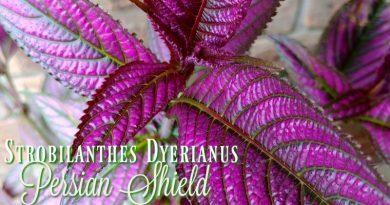 Those are coming this spring! 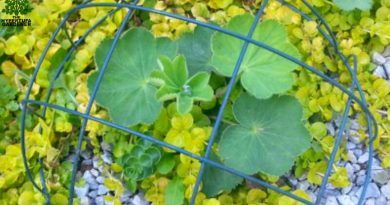 Let me know if you have tried forcing bulbs and how that went for you. Thanks for reading! Late Summer & Anemones Are Budding!